How to improve the reception quality of your antenna? 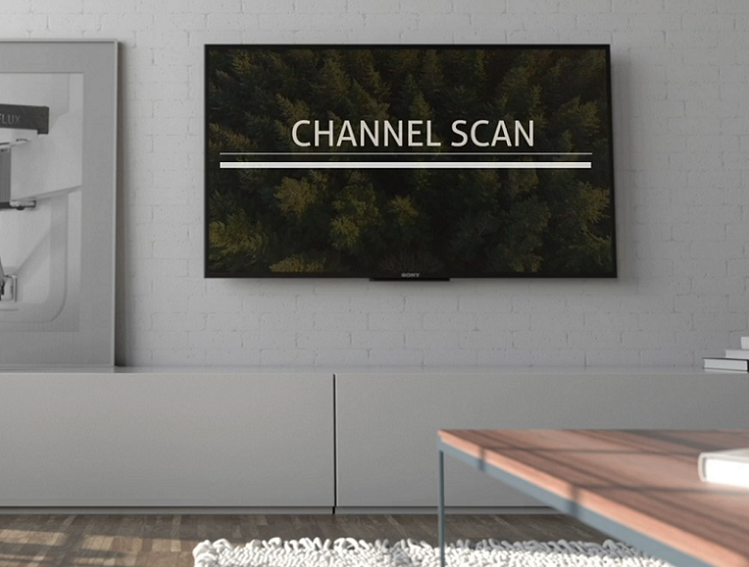 Don't forget to do a channel scan on your TV or Set-Top-Box after connecting your antenna to see what channels you will be able to receive. Nothing more frustrating than having a poor TV reception. Get rid of annoying signal problems and start experiencing the great benefits of a TV antenna. We assist you with tips and tricks that will help you out getting an optimal reception with your TV antenna. The number of channels and what channels you can get depends on the fact how far you are away from the broadcast towers in your area. You can do a check on www.channelchecker.com to see what channels you can get when buying an One For All antenna. An antenna with a higher range is able to pick up TV signals from broadcast towers further away. Easily check if the channels you need in three steps on www.channelchecker.com. Reception not only depends on distance from broadcast towers, but also on the terrain and the surroundings (nearby houses, buildings, trees, etc.). Therefore, the height of your antenna is a critical factor. When placing indoor, try installing it as high as possible and near a window. Keep in mind that objects in a room can interfere the signal, so try different locations to find out the most optimal place. Pick a spot where the antenna will be secure and where you get the best coverage. Move your TV antenna to the highest point possible and close to a window and you will probably see drastic improvement! On the Channel checker website you can also see in which directions the broadcast towers are situated. Point the antenna as much as possible towards the majority of towers. An easy check is to see how the antenna of the neighbors is located and aimed. TV broadcast towers broadcast the TV signal using vertical or horizontal polarization. Most of the TV signal in US are broadcast in horizontal polarization (check your terrestrial TV operator's website to get the latest information). Because most of the TV transmitter are horizontal polarized it would be best to start putting the antennal in a horizontal position. One For All antennas receive vertical as well as horizontal signals. Keep in mind that metallic surfaces near your antennal can cause interference with the digital signals and can even block your reception. For example, when placing your antennal in a window, even metal burglar bars in your window can cause issues (metal blocks both TV and Radio signals). Try to keep as much distance as practical from metal objects (6 feet or greater is ideal). If the signal strength in your area is really strong and you are using an antenna with built-in amplifier it might be possible that the TV receiver gets too much signal. This might reflect in loss of TV signal. In this case try to rotate the antenna at its current position or choose a different location for the antenna. If you own a antenna with the patented Automatic Gain Control the amplification will be set to the right level automatically. This helps getting the most channels possible. Extending the coaxial antenna cable will slightly reduce the signal level that gets to your TV, but if the longer length allows you to reach the window that is facing the TV transmitter it might improve your TV signal. Try not to use an unnecessarily long cable though, as that will reduce your signal level. Keep all other wires and cables as far away from the antenna as possible. The close proximity of other cables can interfere with the reception. Adding a signal booster to your non amplified antenna, or using an amplified antennal can give you better results than a passive antenna. When you have good reception with your antenna, you will need to set up the TV channels (perform a channel scan). This differs per TV; refer to your TV manufacturer’s manual on how to do this. By law, nearly 1,000 TV stations must change frequencies to make room for wireless services between 2018 and 2020. When these changes occur, viewers like you, who watch television over the air with an HDTV antenna, must rescan their television to continue receiving the local stations. Because stations are required to move frequencies at different times, you may need to rescan your television or converter box each time a station moves to a new frequency. The good news is that rescanning is a simple process. No new equipment or services are needed, and once the rescan is complete, you will still find the station on the same channel number as before. You can find which stations in your area are moving and when at TVAnswers.org, a viewer resource provided by the National Association of Broadcasters. This site features the latest news and information on station changes and you can sign up for alerts. Plan to rescan in the future to ensure you can continue to watch your favorite shows, news and sports, as well as receive the emergency updates you rely on every day for free. Click here for more information about your rescan.